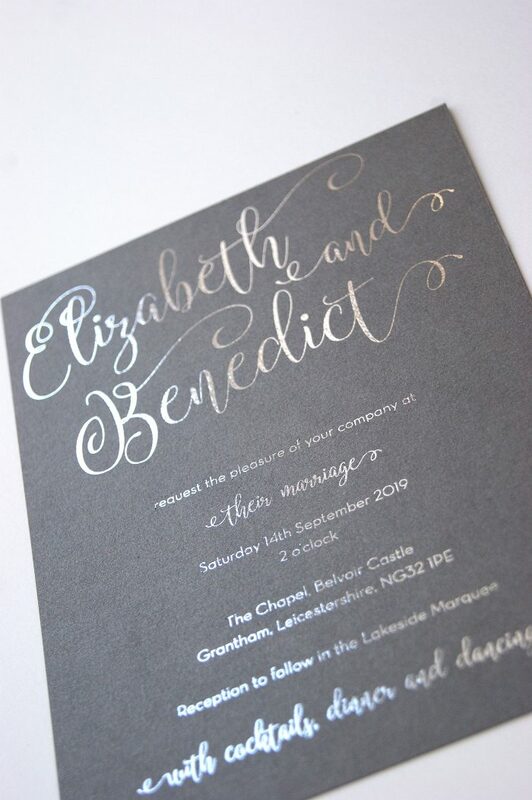 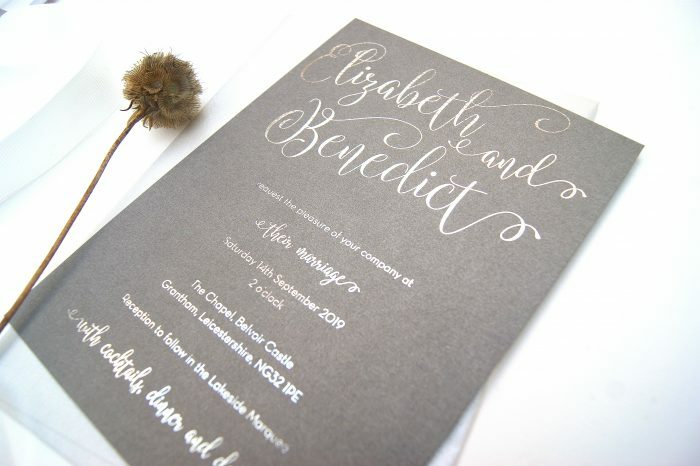 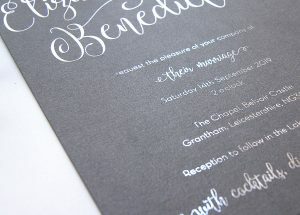 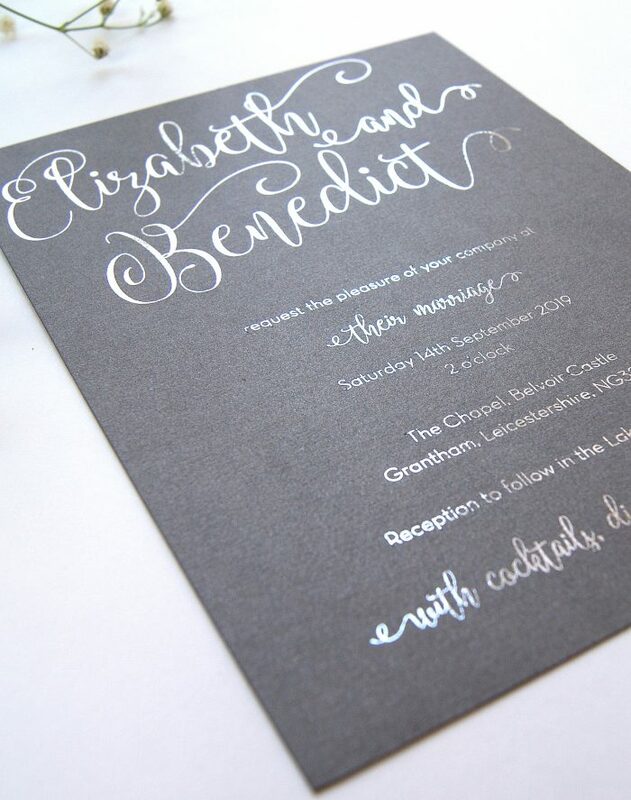 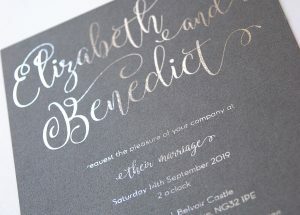 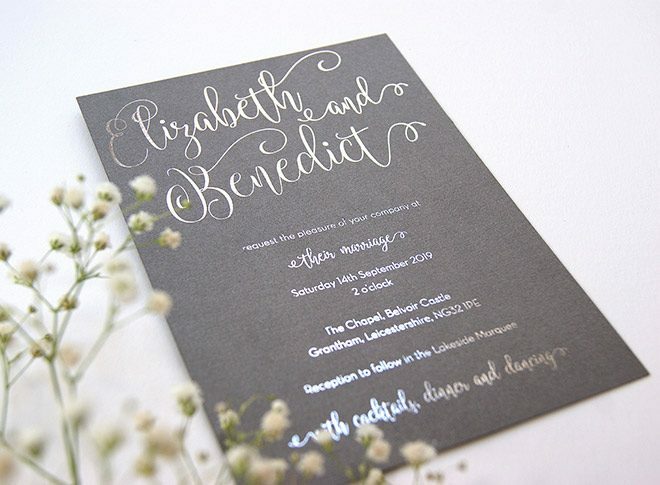 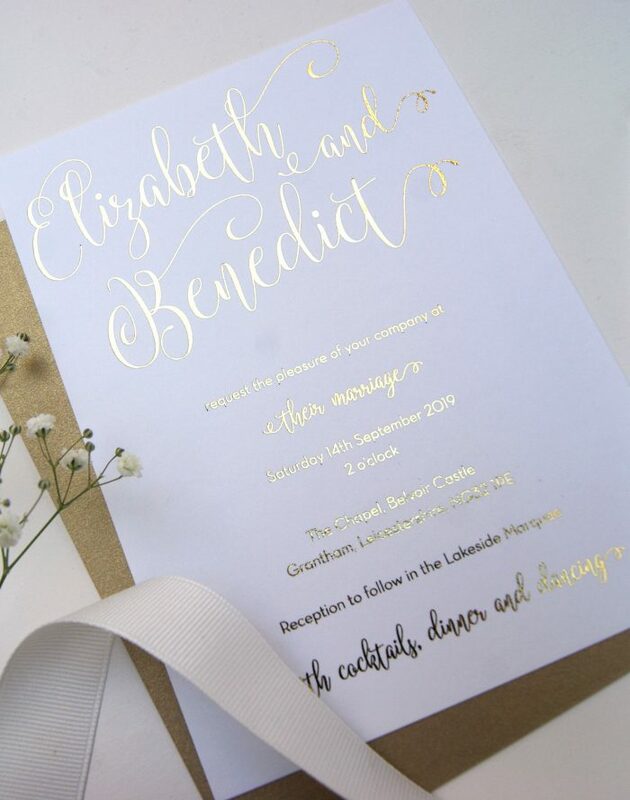 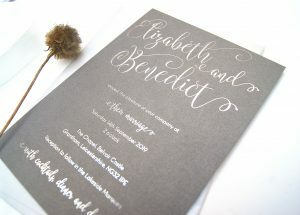 Stunning foiled wedding invitations with a modern, elegant look to complement your style. 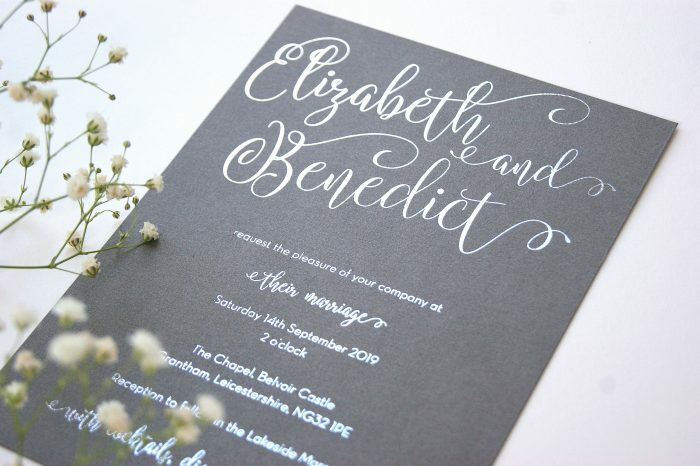 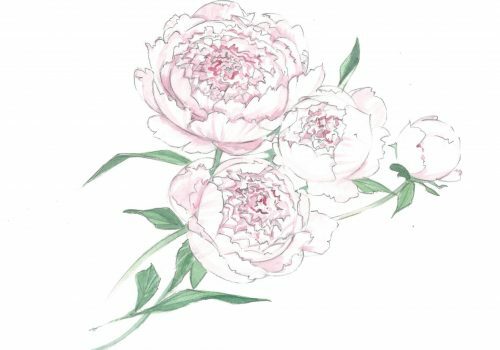 Your names are created in a beautiful calligraphy, framed by stylish flourishes. 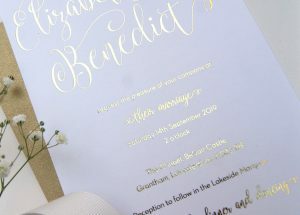 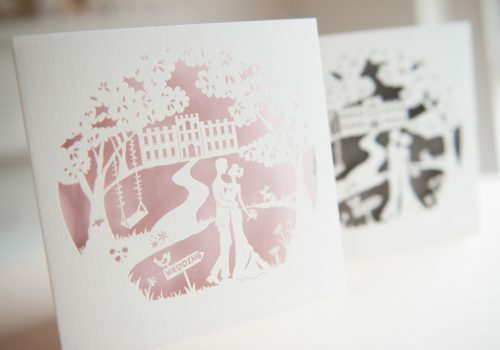 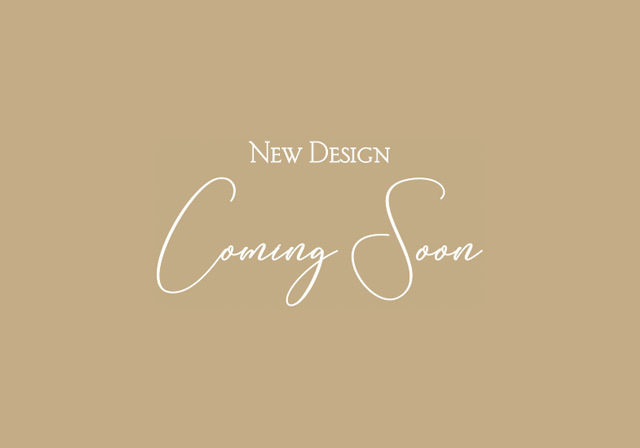 There’s a range of card colours to compliment your wedding theme and foils are available in rose gold, silver and gold.